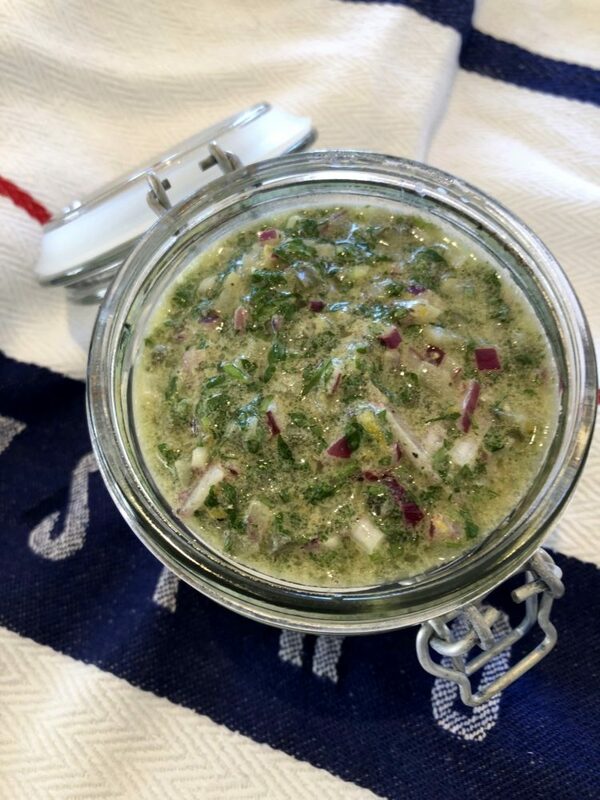 I am ready for spring eating and entertaining with this super simple little sauce in the refrigerator now. The 1st of September marks the first day of spring for us so we aren’t quite there yet, but having had a mild winter it is not far off. I have read this sauce / salsa described as “wake up sauce”, which is the perfect description of this sassy little salsa. 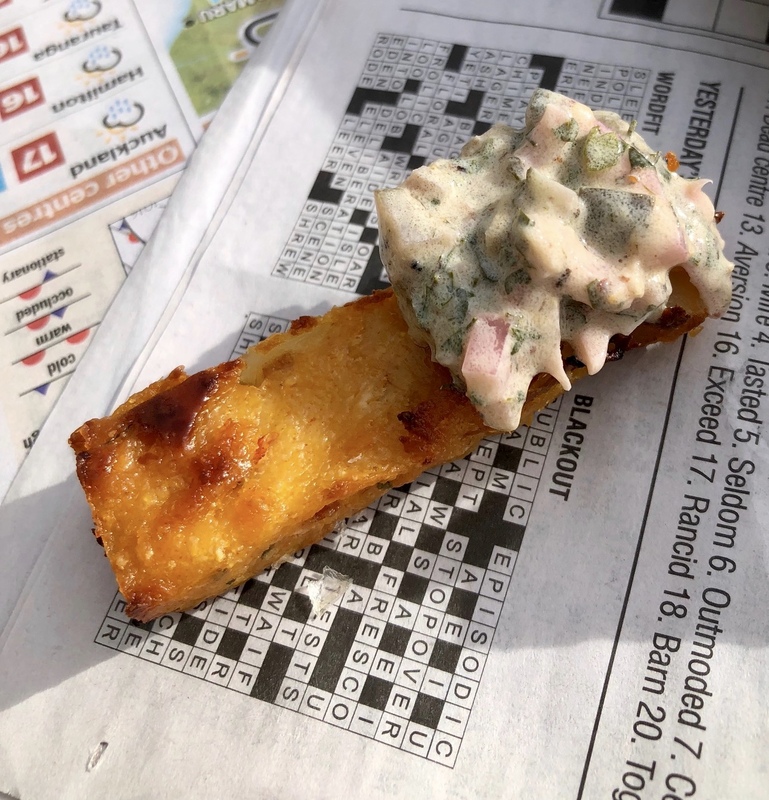 Just what is needed to perk up last weeks “fish-in-chips” or a butter basted piece of fresh fish, steak or schnitzel or jazz up a burger. 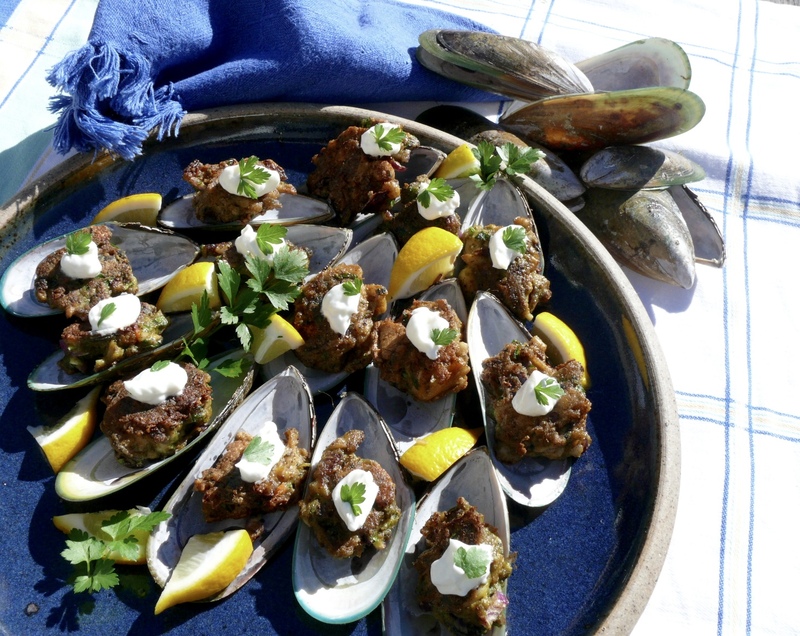 Don’t feel that meat is the only match for this sauce either – it will work just as well as a dressing for – a potato, bean and tomato, or egg salad, on the side of your Spicy Pumpkin and Possibly Feta, Fritters …or fish fritters such as my New Zealand Green lip Mussel Fritters and these are just a start on for ideas for my Ravigote sauce. 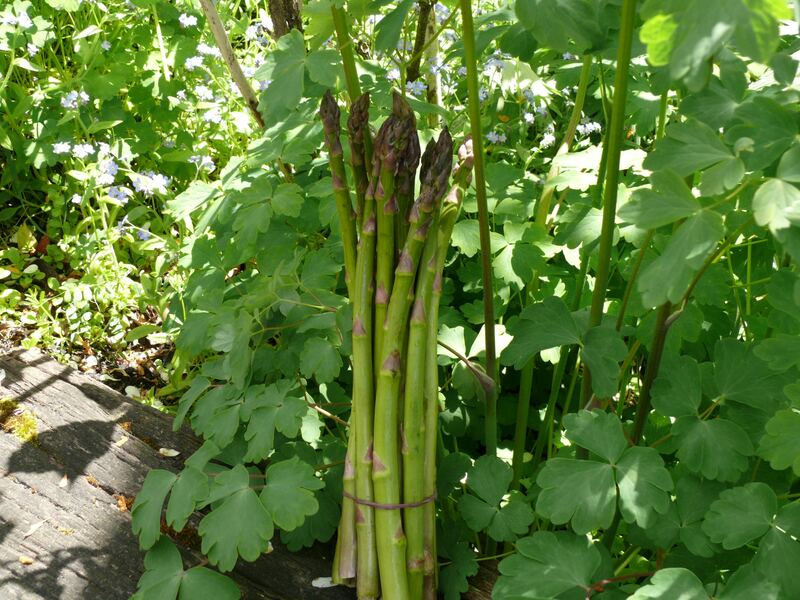 Think fresh asparagus with minced hard boiled egg dressed with this sauce spooned artistically over……. 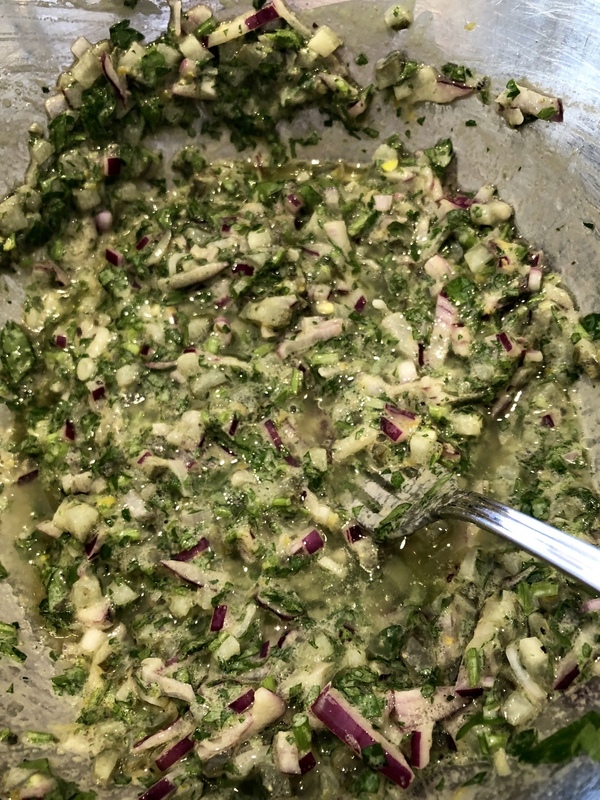 For the ravigote sauce fresh herbs are combined with a punchy mustard, some red onion and gherkins then brought together with a gentle extra virgin olive oil. No gadgets needed just a little chopping and mixing and you have the perfect sauce which will stay stable in the refrigerator for a good ten days. 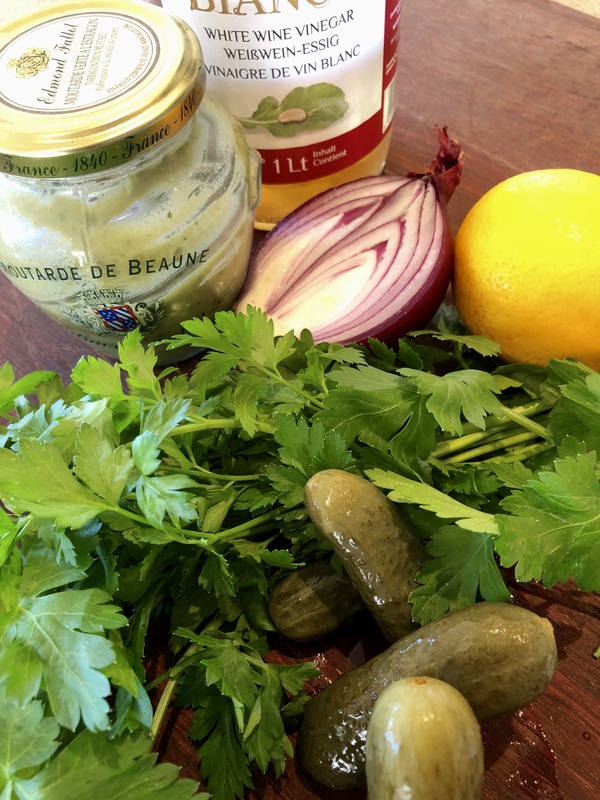 Whats better you can use what herbs you have on hand at the time, and at the end of winter with no tarragon in sight tarragon mustard fills in for the fresh flavours I am missing. Whisk together the olive oil, mustard and lemon zest and juice. Stir through the rest of the ingredients and taste to check seasoning and acidity. Done – as simple as that, and you are ready for spring entertaining – bring on the barbecue!